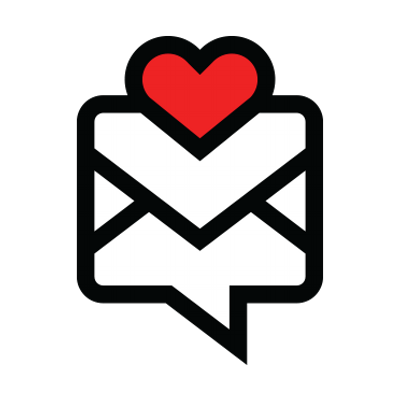 Year-end list season has become a kind of exhausting exercise, at least when giving a cursory glance at the social media feeds of music fans, industry types, writers and more. Reaction to bigger rankings tends to be more “sure, fine” then excited, while Resident Advisor even made a big deal about dropping lists all together this year (and still seemingly felt pressured to make something in list format). Scaling down seems to be the move. Naturally, Make Believe Melodies put together its largest year-end list to date. While jotting down all the albums released by Japan-based artists that I enjoyed this year to start this exercise, I initially teetered close to 100…and that was before late-year gems from Sleet Mage and The Neon City appeared after I thought the Google Doc was settled. I listened to way more music from Japan this in comparison to outside sounds, to the point where U.S. lists are generally surprising me for the first time in years. Ultimately, I just think there was a lot of really good music from this country in 2017 — while the year lacked a lot of coherent narratives running through everything, which meant great music was hidden about all over the place. And besides, I know exactly what function this list serves. This might be the favorite albums from us here at Make Believe Melodies (so…from me, a single person), but it’s really a portal for discovery. Because while some strides have been made, lists and year-end features like this remain the best way to learn about music existing outside of the North-American-and-Brit centric realm most English-language music media exists in. So here’s 50 albums you may have missed — or heard of, but got lost in the shuffle — worth checking out if you are in a curious mood. The potential of discovering something great is why these yearend rituals still feel important. 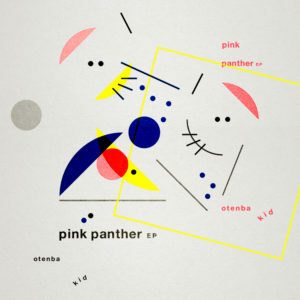 As far as position-to-play-count ratio goes, the Pink Panther EP is way out of wack here. This one got summoned up as much as nearly every album in the top ten, as Otenba Kid’s house tracks made for the optimal soundtrack for hanging up shirts or cleaning dishes. Befitting a Maltine Records’ release, a lot of interesting details emerge over repeated listens — the clicks and clacks lurking in the crevices of “Set On Me Fire,” the delirious vocal cyclones forming on the title track — but this one stuck around because of how sticky every number is (and maybe held back a little by the mysterious air surrounding Otenba Kid). Get it here, or listen below. 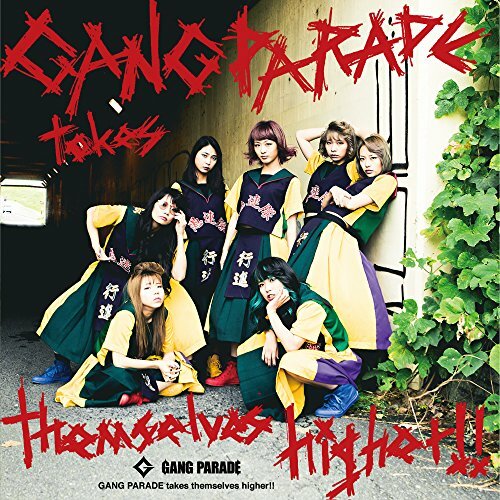 #49 Gang Parade Gang Parade Takes Themselves Higher!! This was the year “alternative idols” became just as prevalent as the supposed mainstream ones, and Wack lead the charge. By the end of the year, the collective’s flagship act BiSH played Music Station, Avex went all in by pushing a new Wack-created group, and a compilation put out by the company continues to dominate the Oricon digital chart. Yet Gang Parade beat them all musically with their second album. Whereas other “alternative idols” sometimes get stuck in a pretty set sound, Gang Parade pinballed from nihilistic EDM-rock (“Iminai Uta”) to all-together-now pop (“I Need You I Love You I Want You”), with many detours along the way. As major labels started wising up to this world, Gang Parade reminded of the energy, experimentation and excitement that made it appealing in the first place. In which Diplo’s greatest embarrassment becomes an oddball exercise for one of the wonkier labels going in Japan today. What could have been a joke mutated into two albums worth of electronic music under the watch of New Masterpiece, featuring silly riffs on the titular Rihanna dunk to wistful Garageband melodies and nervy dance numbers. Falling somewhere between lost auditions for the Earthbound soundtrack and floor-filling fare, Central and Pacific made for one of the best Japanese compilations of the year. Get Central and Pacific, or listen below. Pop music all around the world sounded pretty similar to the syllable-hiccuping sound of De De Mouse’s music over the last decade. So he got into the action with Dream You Up, a big bright album standing as the most immediate as his career. What’s most remarkable about it is how little he changed to his songwriting approach — the key element remains the sliced-and-diced vocal samples arranged into shiny melodies, swathed by synthesizer playing bringing to mind the halcyon days of electro-pop. It’s a producer giving himself over to the pleasure of pop, even diving headfirst into moshing bass drops. 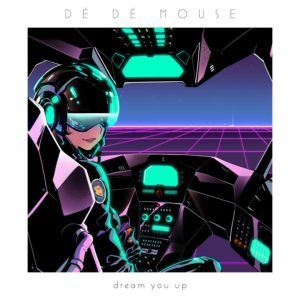 And De De Mouse does it all with a real glee, resulting in one of the year’s most flat-out fun collections. If you gaze into the abyss long enough, the abyss will gaze back at you. Same goes for pachinko. The flashy, ear-drum decimating game turns hypnotic after long enough — assuming you don’t blow all your allocated cash on metal balls before the hypnosis starts — and simply walking by a center as the sliding doors open can be a jarring experience. 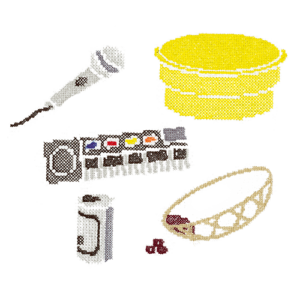 Nobody does jarring better than Wasabi Tapes, and the Pachinko Machine Music project uses field recordings of machines in action to create loops that just crush. 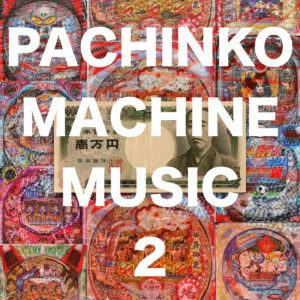 Yet in the same way artists such as DJWWWW and Foodman create grooves from chaos, the two volumes of Pachinko Machine Music this year locate absorbing patterns in one of the most claustrophobic spaces imaginable. Get 2 and 3, or listen below. Enon Kawatani made his scumbag masterpiece. Well before he spent all of 2016 transforming into one of the most loathed entertainers in Japan thanks to a series of scandals, Kawatani’s music has submerged itself in downcast feelings and self-loathing. It looked like he had reached his pinnacle with Gesu No Kiwami Otome’s Ryoseibai, a slick-sounding album featuring some of the most miserable lyrics to land at the top of the album charts. Dude sounds like he hated being popular, and this was all written before the Becky stuff came to light. Yet he topped himself with Crying End Roll. Critical to its success, it rarely sounds like an Indigo La End album — that outfit always leaned closer to emo, reveling in feelings you eventually recoil from as you get older. 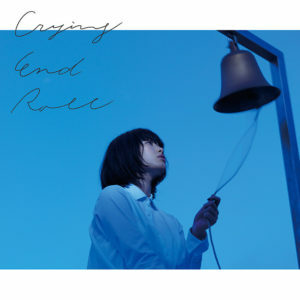 Crying End Roll touches on these sounds (and does them pretty well, see the topsy-turvy “Kane Naku Inochi”), but veers in to Gesu’s territory on the frantic, Kawatani-on-verge-of-screaming “End Roll II” and by loading up on female choruses. 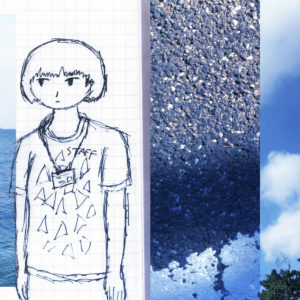 Then you get truly disruptive inclusions, like a Qrion remix of “Kokorone” right in the middle of the album, amplifying the chilly loneliness around it. And that’s the other key — Kawatani really nails the self-loathing and, most intriguingly, defensiveness (see also: almost every video he’s appeared in this year, including the one below wherein he likens himself to a caged bird. c’mon dude!). It’s a weird one from a deeply unlikeable person, but he’s captured himself perfectly, preserving his deplorable self in amber. After several years of buzzed-about live performances, Kansai group Casio Toruko Onsen delivered a debut album capturing their ramshackle energy. Yu plays out like a funhouse teetering on the edge of oblivion. The quartet merge simple synth-driven melodies together with splashes of traditional Japanese music and structure, and then gets goofy with it. Chanting flips to rapping, dog barking punctuates the steady rhythm of “Biwako Wanwan Oukoku,” and the group lays down the sharpest experimental disco track of the year with the dramatic “Metal Disco.” It’s wonderfully left of center, right in the same lane as other classic Kansai oddballs, and like many of them, Yu allows itself to get funny, letting stranger sounds linger. It’s all about timing, and they chose the right year to put out their first. At this point, I’m not sure what new words I can wring out about i-fls. The reserved producer continues to capture the weird ennui of suburban life using the simplest strokes, turning Garageband sketches into little vignettes of melancholy and — sometimes — hope. I’d say no artist has a better and more consistent body of work this decade in Japanese music, and Wasted slides nicely in. It’s part of something bigger, and doesn’t need to scale too high up on a list like this. Though shouts out to the new wrinkles, like the high-energy dance release of “Useless Places” or the pulsing closer “Like You.” Get it here, or listen below. 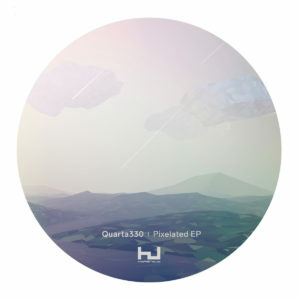 Many sounds intersect on Quarta330’s Pixelated EP. One of the earliest artists to work with Hyperdub continues mixing styles on this four-track set, coalising numerous sonic palettes together to form something all his own. 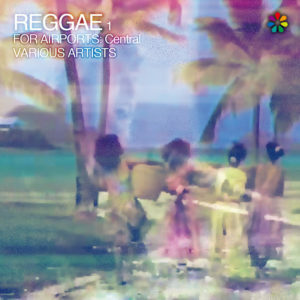 Dub reggae goes haywire on the the haywiring “The Fairies Homecoming” while 8-bit sounds collide with reggae-inspired touches on the trippy “Yatagarasu.” While short, this EP packs in a lot of ideas, and shows the versatility of Quarta330’s mind. Get it here, or listen below. 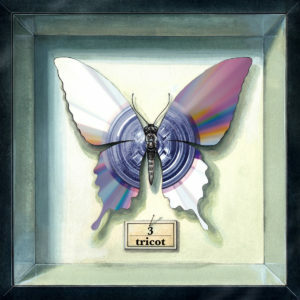 Trio tricot have become one of the few recent Japanese bands to get international attention, and for good reason. 3 showcases a band locked in to their specific sound, in the case of tricot falling somewhere between the chalkboard equations of math rock and a more wily approach prioritizing emotion, sometimes with verge-of-cracking singing. Songs such as “DeDeDe” and “Pork Ginger” lock together precisely, but allow vocalist Ikumi Nakajima to let her voice stretch out, gracing these songs with a humanity rarely found in tight musical equations. Get it here, or listen below.